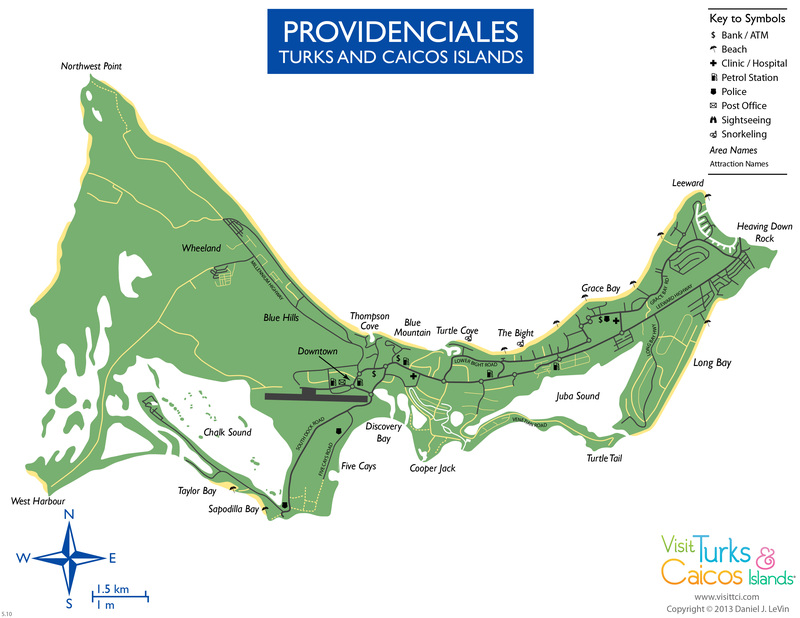 Map of the Turks and Caicos Islands. Copyright 1993 by Heinz Meder. Providenciales is generally easy to navigate. The most difficult points of interest to locate are some of the more remote beaches and a few of the natural attractions. 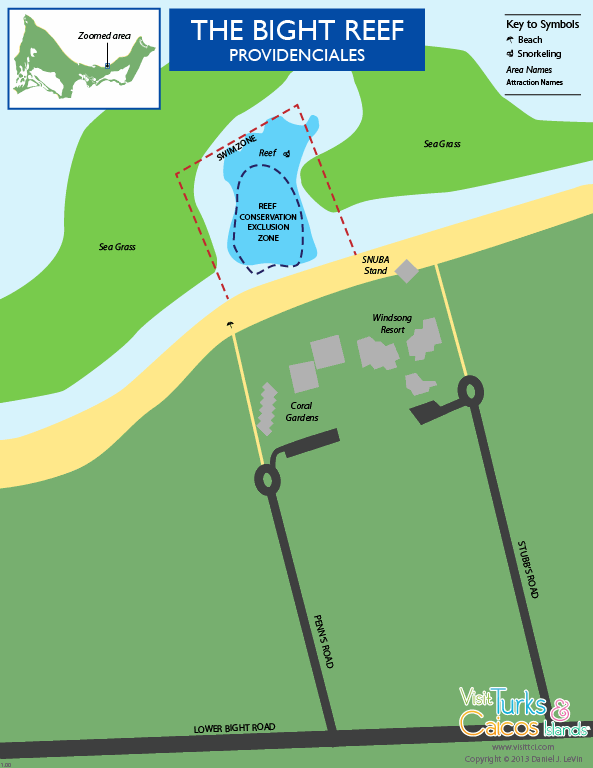 There isn't any tourism signage, and little general directional and information signage. The majority of the hotels and resorts are located along Grace Bay Beach, on the north-eastern part of the island. Many of the vacation villas are dotted along other portions of the beach and coasts, especially on Long Bay Beach, Taylor Bay and Sapodilla Bay. 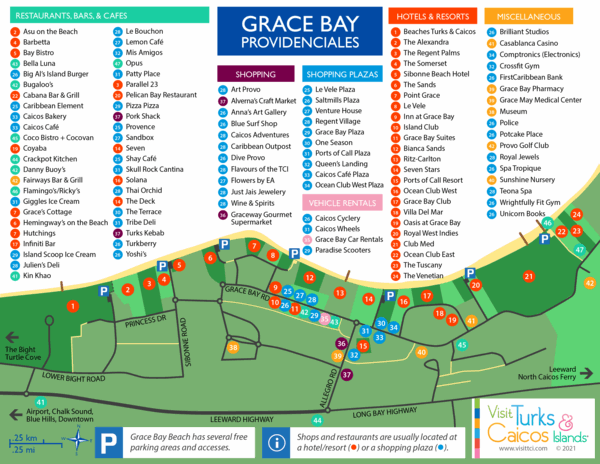 There are free road maps available at Providenciales International Airport (PLS) and we highly recommend you pick one up. They're available in the baggage claim area. Also, it's common to receive a map when you rent a car. Much of the Caribbean features poor drivers, and the Turks and Caicos, although it isn’t quite as bad as some other destinations, suffers from the same driving skills deficiencies. See Driving in Turks and Caicos. 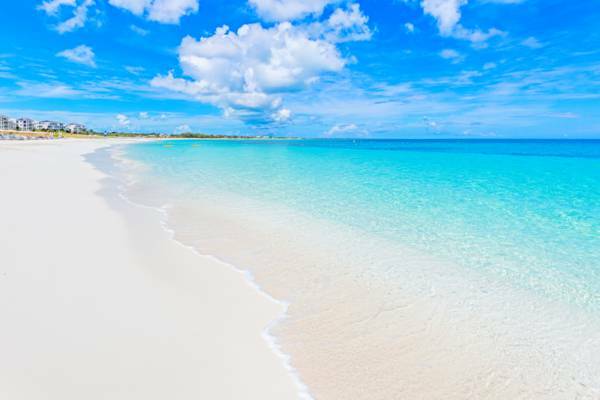 Providenciales offers some of the best beaches in the world, and some of these incredible coasts can be a little difficult to find. See Exploring Providenciales for great routes, sights, and views. Roads and traffic follow the UK Highway Code, which differs from driving regulations in the United States and Canada. We drive on the left, and roundabouts are frequently encountered on Providenciales. Poor drivers and speeders are commonly found on the roads here, and you are advised to maintain a greater distance than you would in other countries. 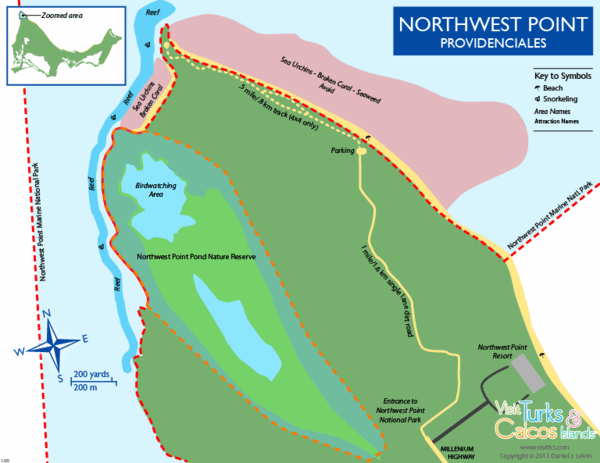 Large areas of the water surrounding Providenciales are protected through the National Parks system. 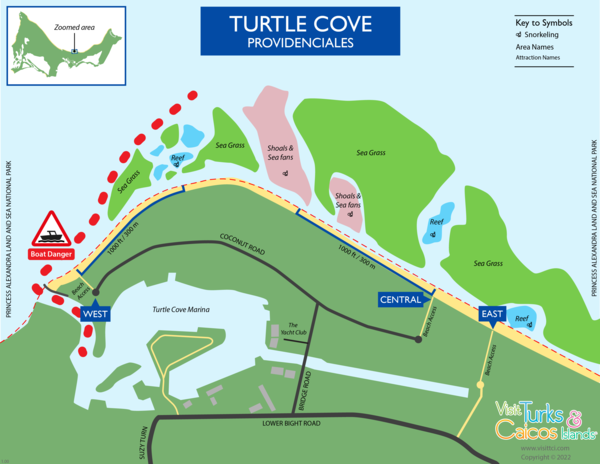 Providenciales National Parks Map.